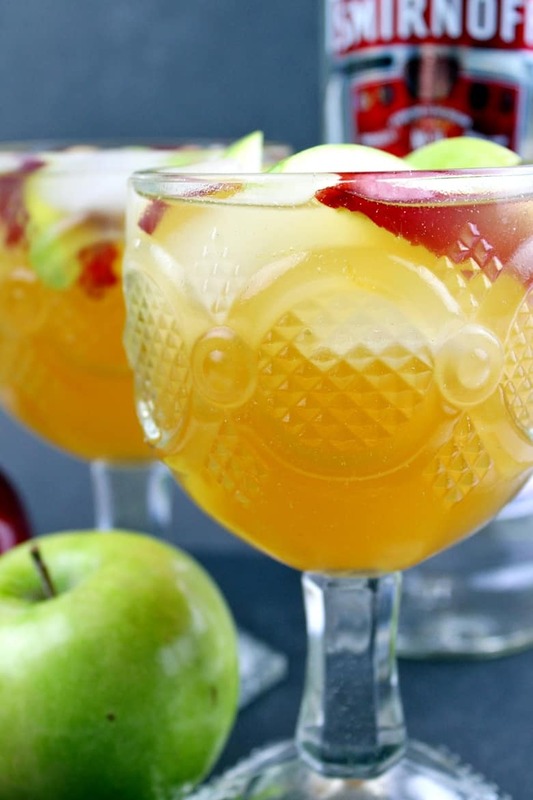 Easy apple cider sangria recipe made with white wine, apple cider, Sprite, vodka, and apples. 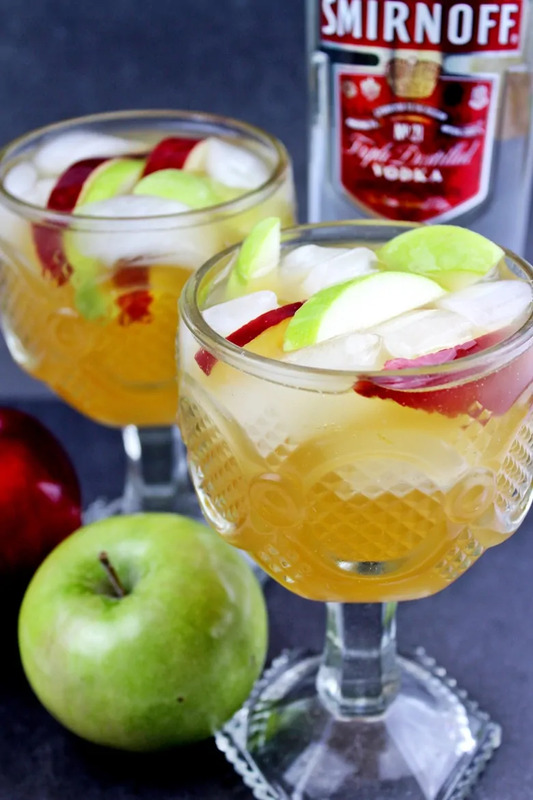 This festive and refreshing apple cocktail is perfect for serving up at your holiday parties. Are you looking for a festive drink to serve during Thanksgiving or Christmas dinner? Sangria is often thought of as a warm weather drink, but with a slight adjustment of the flavors, it can be an excellent drink to pair with your holiday feast. 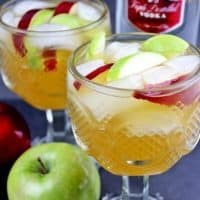 Apple recipes are always great for Fall gatherings, and this apple cider sangria is no exception. 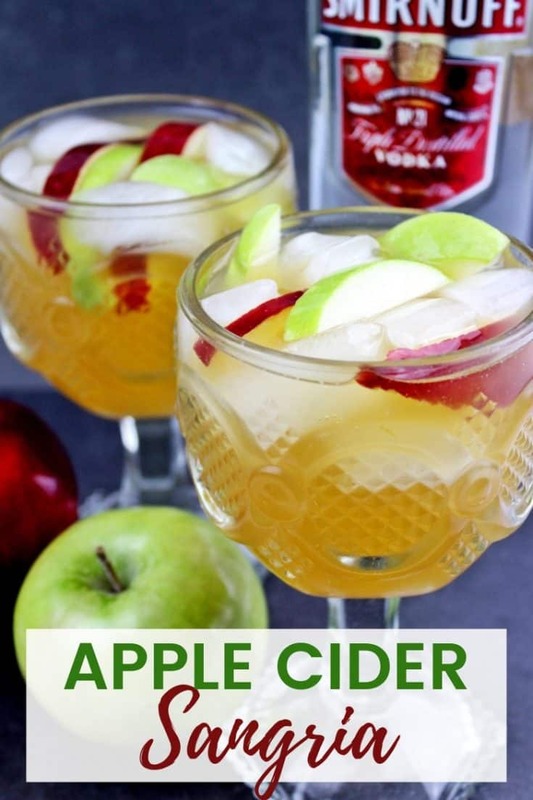 The combination of apple cider, white wine, vodka, and Sprite creates a refreshing drink that will help cut through a heavy meal like Thanksgiving dinner. Plus, with vodka coming to the party, everyone might actually get along this Thanksgiving! In all seriousness though, this is a unique drink that everyone is sure to love. It’s also a great alternative to the everyday glass of white wine. If you are looking for a non-alcoholic apple cider recipe, this easy crockpot apple cider recipe is one of our readers' favorites. Wash and sliced the apples, then soak them with lemon juice to keep them from browning. Then, add sliced apples, wine, and vodka into a large container and allow to soak in refrigerator for at least 1 hour. Add Sprite, apple cider, and ice before serving and enjoy. Squeeze lemon juice onto apple slices and toss well to coat. 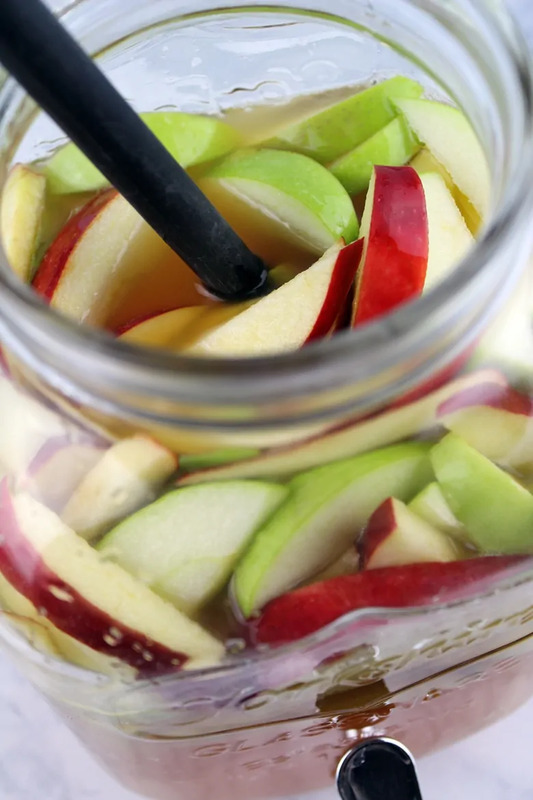 (to prevent apples from turning brown) Pour wine and vodka into large container. 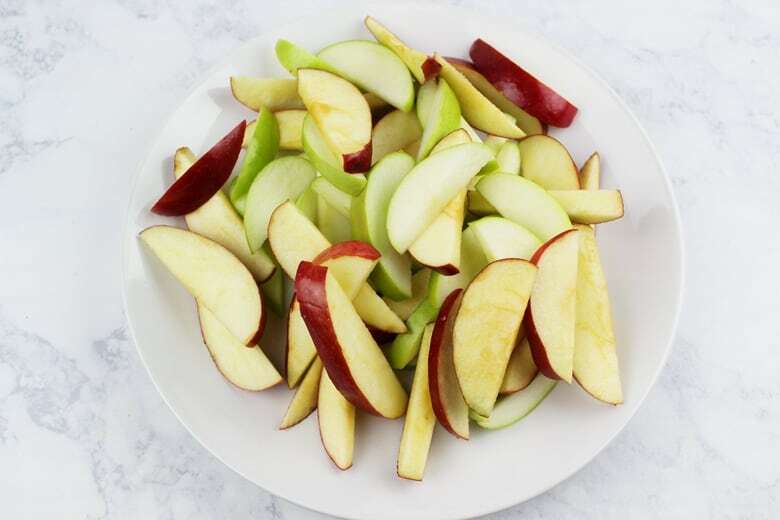 Add apple slices and place in refrigerator to allow to soak for a least one hour. Add Sprite, apple cider, ice and stir gently before serving. Try freezing some of the fruit to keep the drink cold even longer.